Provides a tough durable finish on all interior and exterior wood. Excellent flow and opacity. Approximate coverage 18m2 per litre. Hazard Safety Codes: R10, R21, R40/43, R65/67. 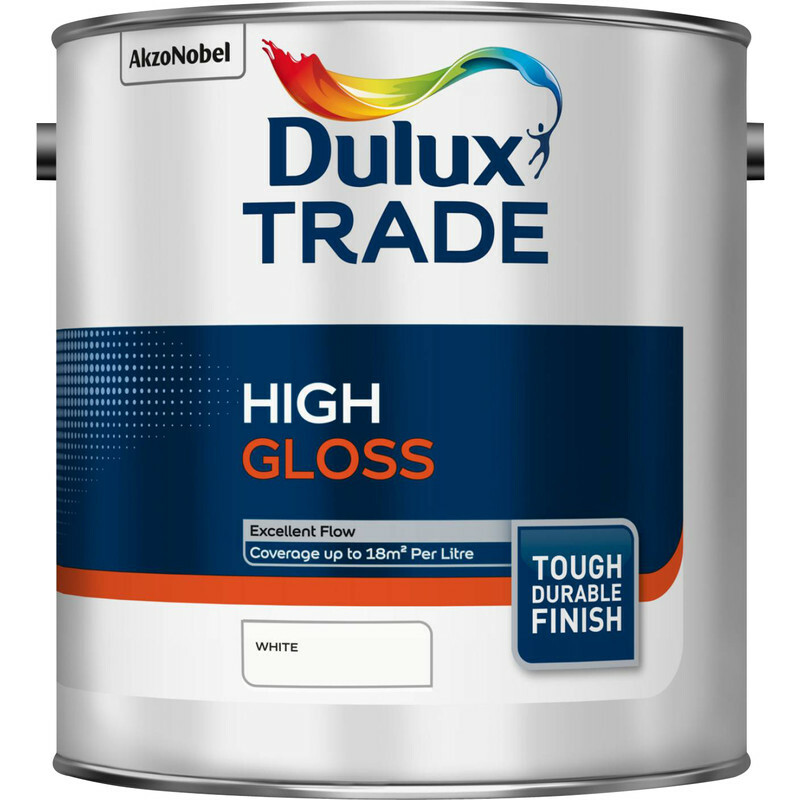 Dulux Trade High Gloss Paint White 2.5L is rated 4.6 out of 5 by 31. Rated 3 out of 5 by Laddy from Good Finish The quality and price of the product made me purchase the gloss paint. The only reservation that what stop me purchasing this again would be the high VOC's content as you have to really have good ventilation in order to get rid of the fumes. Although the paint is easy to apply it does run so would recommend buying a non-drip version. Rated 4 out of 5 by Jabberwock from Prompt delivery, good value, well packed. Once again a good value product, I am well pleased with the pain, does a good job and again I am happy with the very quick delivery time. I will but more when required. Rated 5 out of 5 by arsenal2018 from Great product I bought this paint last week very happy with the product, down side paint does run but I was able to use it, I would recommend not over load brush or roller. Rated 5 out of 5 by alec7 from Dulux paint This is excellent paint ... not cheap, but covers well. It is NOT worth buying cheaper pain.